This week’s big market movement has been largely focused on Bitcoin which served as the catalyst once again. The second two largest crypto assets, Ethereum and XRP did not get such a boost and started to fall back quickly. That is until an hour or so ago when XRP finally woke up and started to surge. During today’s Asian trading session the Ripple token surged from $0.330 to just over $0.337, its highest level for three months. The move has lifted XRP higher than Tuesday’s rally which saw huge gains for Bitcoin Cash and Litecoin. Daily volume is picking up again and is just over $2 billion. XRP is closing the gap to Ethereum in second but at the time of writing it still remains at just under $2 billion in market cap. The Ripple token has reached $15.3 billion whereas ETH is still over $17 billion. It has not enjoyed the same gains that other altcoins have this year having made only 5% since the beginning of January. The firm originally joined RippleNet in April last year along with FairFX, Exchange4Free, UniPAY and MoneyMatch according to the company blog. 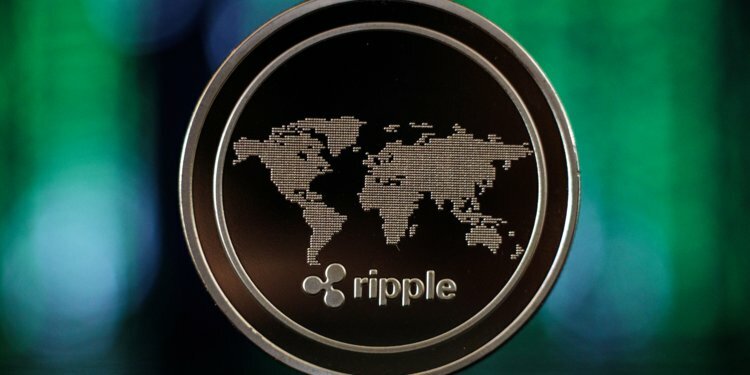 Most Ripple’s partners will start off with the xCurrent system before switching to xRapid which uses the native XRP token for cross border transactions. Despite Ripple being a contentious subject for crypto enthusiasts many are confident that XRP will be one of the top performing tokens in 2019. 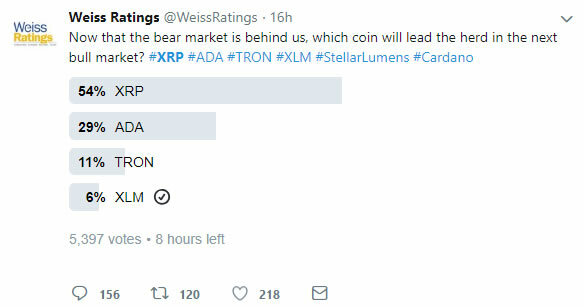 A current Weiss survey on twitter reveals that 54% of 5,400 people polled believe that XRP will be a market leader. Weiss also recently rated XRP as a ‘grade A’ crypto alongside EOS and Bitcoin in its latest annual report. At the time the token did not react, it has been late coming to the party but is finally making moves today. Google’s Gmail integration of XRP for users to send instant tips to each other has undoubtedly driven some momentum. The platform uses a Chrome plugin called MoneyMessage and XRPTipBot which is already in operation on Reddit, Twitter, and Discord. Recent reports also indicate that Ripple is viewed as being more stable and attractive to governments and financial institutions. This may not be great news for those that advocate totally decentralized cryptocurrencies but it is for Ripple and XRP investors who are having a field day today.